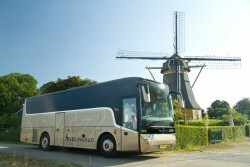 ﻿ 32 Seater Starclass Coach - AMZ Borssele - Uw reis verzorgd van A tot Z! 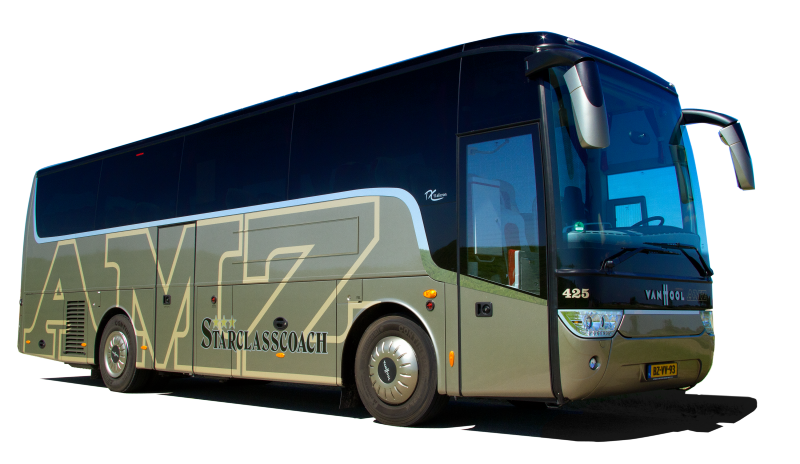 You will be a star in our Starclass coach. Finished in a beautiful, bronze-pearl coating, it is a real eye-catcher. 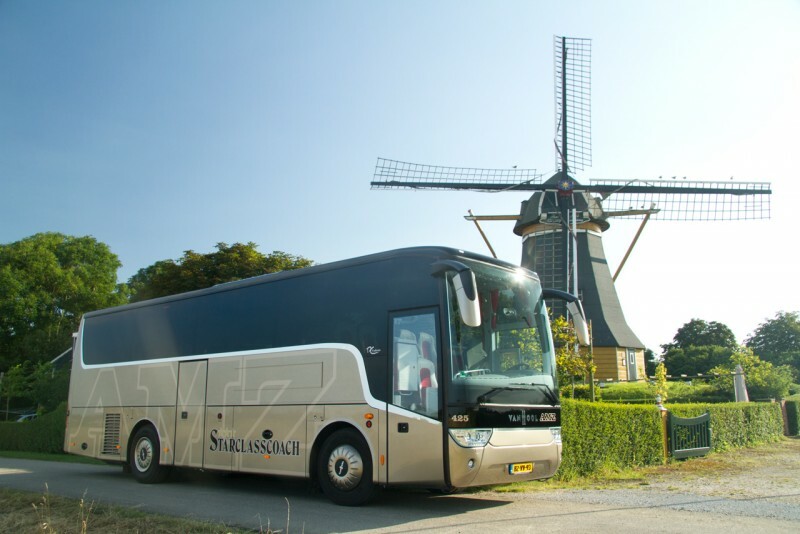 When only the best will do for your clients or corporate guests, it has to be this coach. 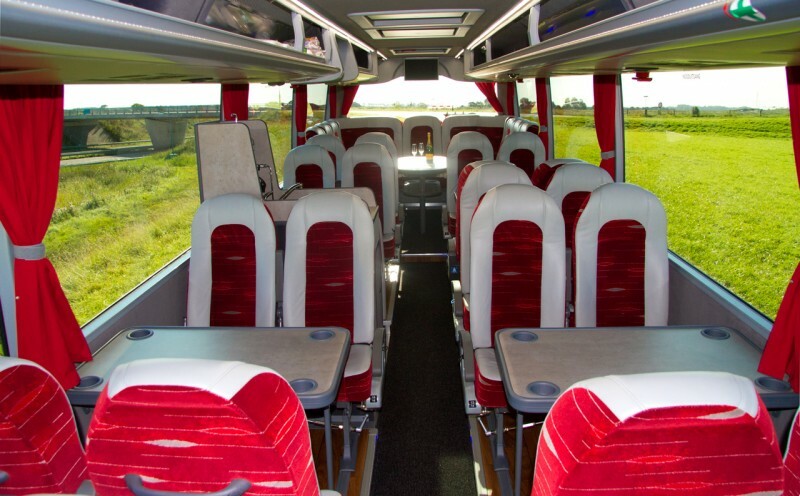 Your guests can spend their travel time comfortably and efficiently. 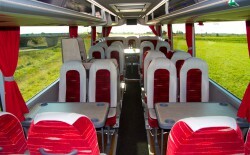 The six Royal Class seating groups with tables allow for pleasant, face-to-face conversations. A laptop can be connected to the entertainment system for high-quality presentations on the four, wide-screen TFT flat-panel displays. Furthermore a DVB-T receiver allows for live TV reception, even when the coach is in motion. So there is no need to miss the match! With every practical kitchen facility, guests can enjoy hot and cold beverages and a host of catering options, from pastries to a full lunch. If required, a hostess can be arranged to tend to your guests’ wants and needs. 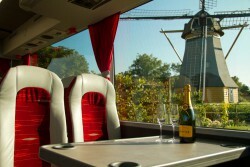 Hesitate no longer, choose our Starclass coach and travel in style and luxury!